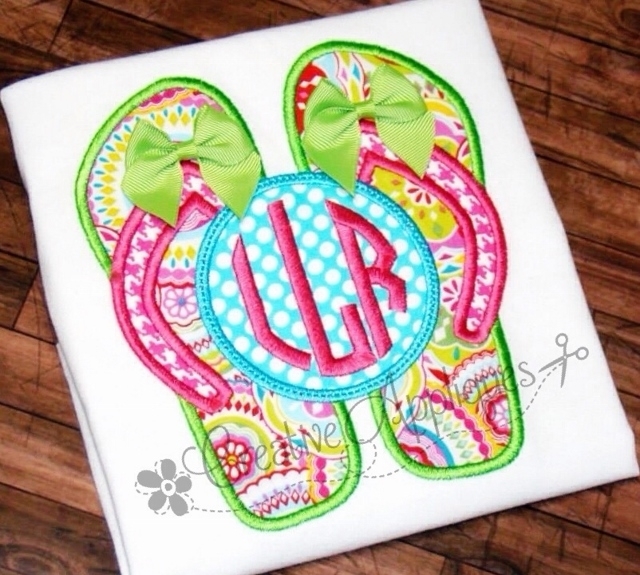 Flip Flop Monogram Applique - 4 Sizes! Summer is all about flip flops and fun in the sun. 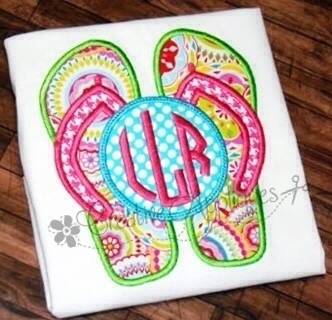 This design holds a special place for a monogram which is perfect for a single initial or 3 letter monogram. Step by step color chart is included for each size. Add real bows for a fun look, as shown. You will receive the design in 4 sizes: 4x4, 5x7, 6x10 and 8x8 (Durkee/Fast Frame). No fonts are included with this design. 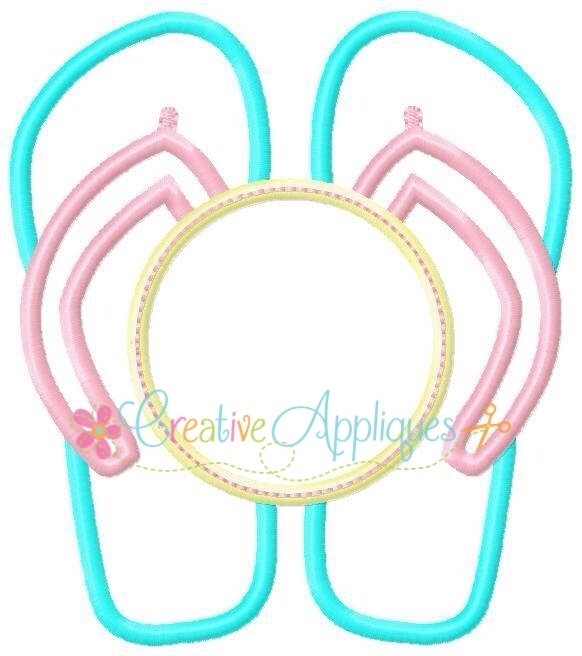 Summer is all about flip flops and fun in the sun. This design holds a special place for a monogram which is perfect for a single initial or 3 letter monogram. Step by step color chart is included for each size. Add real bows for a fun look, as shown. You will receive the design in 4 sizes: 4x4, 5x7, 6x10 and 8x8 (Durkee/Fast Frame). No fonts are included with this design. Love Flower Applique - 4 Sizes! Cross Monogram Applique - 4 Sizes! Finish Size 3.41" x 3.83"